Curative and even sometimes magical properties of many minerals were actively discussed at the dawn of mankind. 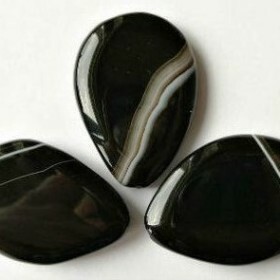 Stones were used for spells and massages as their positive impact enabled people to equilibrate physical as well as spiritual aspects of human life and cope with many health disorders. Even these days minerals are still used as talismans and amulets, their owners definitely put a lot of value on their protective functions and energy. For the last time another promising ancient secret of using gemstones for curative purposes has returned to us. That’s a potion infused with crystals and it’s getting more and more popular. This interesting remedy for treating many diseases isn’t as difficult to prepare as it seems at the first sight. A pattern of vibration effects on the human body and mind was discovered many thousands of years ago. Today, we can freely utilize this vital information for strengthening our physical body and soothing our soul. The use of gem infused water showed that the vibration of minerals, their energetic strength and healing properties are transmitted to the patient via the prepared tinctures. In the recipes of Ayurveda there are tons of useful and interesting information regarding the therapeutic properties of many minerals. There is an interesting way to use the therapeutic properties of a gem – to do a tincture of its ashes. It should be noted that the production of ashes from the gemstone is an extremely time-consuming and labor-consuming process, but on the other hand, it’s considered to be very effective in dealing with many complex diseases. A stone tincture is prepared like a normal herb one. To properly prepare this drug, you require choosing the right gemstone. Apart from being suitable for meeting the desired objectives, the newly chosen stone needs to be “your” mineral. The stone should be placed in a solution of alcohol (ranging from 50% to 100%). Pay attention to the density of the stones. Harder minerals such as sapphire or diamond would better be kept in the strong solution for a whole month, while softer materials need less time for infusion. Lithotherapists also use water infusions of minerals and gems. For this purpose, having the right stone and clean water is enough. Most often, this infusion is called mineral elixir and it has no less strong influence on the human body than an alcohol drug. The water infusion can be used as conventional drinking water, and it’s also good for washing, spraying, enemas, baths and mouthwashes. Precious stones are often used not only for curative purposes, but also for the purification of drinking water and saturation of it with beneficial trace elements. As mentioned above, each mineral has its own healing and magical properties and therefore it should be used only when dealing with certain ailments or problems. There’s a little trick enabling you to determine whether this particular gem fits you or not. In ancient times, the mineral was tied to the outside of the shoulder and left for the whole night. However, this option wasn’t recommended for those facing nightmare. If dreams were bright and good, the gem could be safely used. 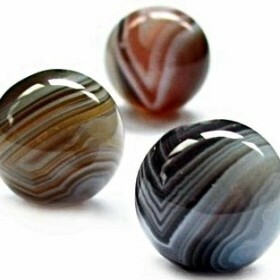 Agate: This stone helps to strengthen the nervous system and purify the immune system. Aquamarine: It reduces anxiety and tension of the whole body. It also helps to treat thyroid and kidneys. Diamond: The gemstone helps to treat diseases of the gastrointestinal tract and liver. Furthermore, it helps to get rid of toxins and migraines. Amethyst: Amethyst infusions help to cope with colds. They also purify the bloodstream and contribute to the restoration of the liver and kidneys. Turquoise: It’s good for the treatment of various eye diseases. It also promotes rapid healing of ulcers, rheumatism, heart disease and respiratory tract. Rock crystal: The gem improves memory and cleanses the body of toxins and waste. 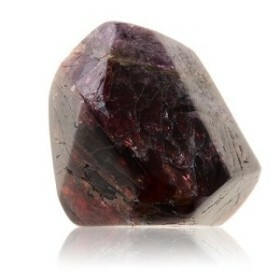 Garnet: The mineral efficiently treats disorders of the thyroid gland. Then, it’s useful against sexual disorders, depression and low pressure. Just keep the stone overnight to make a good tincture. Pearls: It stops bleeding, that’s why it’s widely used against hemorrhoids, bleeding gums, etc. Place 5-6 stones into a glass of water and let them infuse overnight. Emerald: It’s good against epilepsy and various diseases of the stomach. Moreover, it’s utilized in the treatment of burns, wounds, and various inflammatory processes. Reducing the pressure, emerald protects its wearer from strokes. It helps to cope with joint problems and it’s also used to treat teeth. Coral: Coral perfectly handles the problems of the gastrointestinal tract and soothes the nervous system. Furthermore, it’s more beneficial for the liver and spleen. Lazurite: It’s good against eye and skin diseases and it’s also used to treat osteochondrosis. Malachite: That’s a good antiseptic. It strengthens teeth and restores healthy elasticity of blood vessels. Jade: A tincture on this stone helps to strengthen bones. It purifies the blood system and restores the sexual function and positively affects the nervous system. Opal: It’s used to treat inflammation of the respiratory tract. The gemstone also helps to activate the sexual function and treats gynecological diseases. Ruby: Ruby is ideal for the restoration of immunity. It efficiently restores appetite, improves sleep and returns the lost strength. It also treats anemia and ideally fits those facing hypotonia. Sapphire: It’s recommended for rheumatism, epilepsy, diseases of the nervous system and inflammation of the skin. Carnelian: A carnelian tincture is used to treat skin diseases. It also helps to cope with the problems of the immune system, thyroid and metabolism. The remedy is effective against infections and blood circulation. Topaz: It helps to overcome nervous disorders and gives vitality and strength. Fluorite: The gemstone relieves pain in the bones and helps to treat gums. Chrysolite: This gem perfectly handles the problems of the digestive system. it’s also effective against diseases of the liver or gall bladder. Amber: Its tincture boasts antiseptic as well as laxative properties. Amber is also used for the rapid healing of stitches. Additionally, it’s utilized to treat lung diseases. Jasper: It’s recommended to use to treat anemia.